Yesterday, we spent the day visiting UPS on location for an immersion session on how the company actually runs. We had presentations from the staff on a wide range of topics; from their history, how the company engages with government, their emerging markets strategy and their digital social media strategy. The company was founded 108 years ago by Jim Casey, an Irish immigrant raised by a single mom. It grew astronomically from just 4 employees and 2 bicycles to a multinational operation of over 400,000 employees with an aircraft fleet of 221. We were told that the key element of this success was the company culture that the founders were really committed to and took time to embed in their day to day lives and operations. Believing in people, delegating power, integrity and sharing financial success are all key elements of this culture. They are evidently living this even today. Most of the people we spoke to have worked at UPS for no less than 30 years. THIRTY! It's remarkable. The most intriguing session for me was the operational technology session. The technology they utilize and how it has evolved was mind-blowing. They have been utilizing big data for years, long before we started calling it "big data"! It is amazing to see the use of it and how it's helping them make millions in savings. From basic things such as reducing the waiting time of drivers and making decisions on things like whether the driver should leave the engine running or not. For example, they saved $14,6m for every minute they did not waste in 2014. 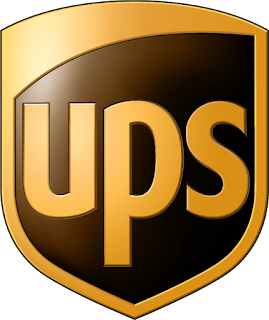 Their ORION (On-Road Integrated Optimization & Navigation) builds the foundation of UPS' rich technology. They do not have a patent for it because it is a trade secret just like the Coca-cola recipe. We were not allowed to take pictures and they do not have Wi-Fi access for guests. All part of securing their data. I asked Chuck Holland,the head of operational technology what their approach was towards startups that are disrupting their industry such as Uber that has just recently announced that it will procure most of Tesla's autonomous vehicle in the near future. They may not be legislated yet but that won't remain so for very long. And while UPS is using Orion to optimize the role of their drivers, Uber is going to eliminate the role of the driver. His answer, they are watching this space keenly but will jump into it with caution. This experience has so far made me acutely aware of how disruptive certain technology and startups are. Operating with leaner, meaner models and rendering old institutions redundant. Take Kodak for example, having over 17,000 employees, it filed for bankruptcy in 2012. The year that Instagram, a photo sharing app with only 13 employees was acquired by Facebook for $1 billion. Times have changed. Emphasis is not on content creation anymore but context creation. But this change is not just here in America. Iroko, a Nigerian startup is spreading like wildfire streaming local African content via web and mobile. I am certain very few local stations think of it as competition or even at all. And this is the sad thing about us, this change is going to catch most companies unaware. Yet they could have set up tech strategy departments to keep abreast of such changes and devise means to keep up. Data is getting cheaper. Devices are getting cheaper. One can now get a 4G enabled tablet at less than $40. If you a run a company (in any field, even agriculture) add informing yourself on technology as part of of your job description. Thank me later.